Seldom has so much eclecticism and energy been poured into a five-track E.P. 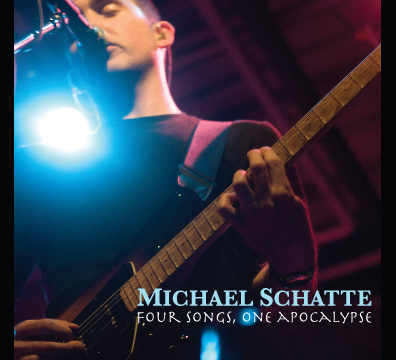 Four Songs, One Apocalypse has it all: rock, blues, celtic, bluegrass, country, ballads and barn-burners, studio and live, all in the space of 30 minutes, and all dripping with Schatte’s singular sonic style. © Copyright Michael Schatte 2016. All Rights Reserved.